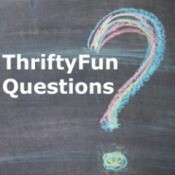 Answer Contest - We are giving away $200 in Amazon gift cards (U.S. only) for people who answer recent questions on ThriftyFun this month! Click for more info. This page shows recent questions on the site. My Frugal Wedding is powered by your wisdom. Click on a question to provide an answer. Better LivingBusiness and LegalBusiness NamesCleaningConsumer AdviceCraft Projects and TipsEntertainmentFood and RecipesGardening Tips and AdviceGrowing GuidesHealth & BeautyHolidays and PartiesHome and GardenHome and Garden RepairHow do I Grow..?How do I Repair..?OrganizingParentingPetsUses for..?What Breed is my Dog?What is it Worth?What is this Bug?What Is This PlantWhere can I Buy? Planning a WeddingI will get married in August 2016. I am nervous now. I do not know how to prepare my wedding. Could you offer me some ideas about the wedding? Keeping a Wedding Guest List SmallMy grandson is marrying a sweet, shy young lady from another state who is planning a very small wedding; as a matter of fact her guest list adds up to 15 people. Economic issues and the fact that her family is uncomfortable with large gatherings underlie these plans. Choosing Wedding ColorsI am trying to decide on color combinations for my May 2013 wedding. I'm going for a classic, elegant feel to the whole affair, but would like to incorporate a spring color that would add a bit of pop. I would appreciate any suggestions. Wedding Color CoordinationHow can I make these colors work for my wedding, purple, blue, orange, and cream? Planning A Low Waste WeddingI am looking for thrifty, but sustainable "green" wedding tips. Our wedding is in a month and we are trying to make it as sustainable as possible, without losing its frugality. Brown Bridesmaid's Dresses for March WeddingCan you use brown as a bridesmaid dress in March? My wedding was originally planned for October has moved to March. I liked my colors so much, I kinda wanted to keep them. Saving Money on Wedding PhotographyI am looking for ideas for getting wedding photography that doesn't cost an absolute fortune. I don't have any friends who are good photographers and I would really like to have professional posed picture done as well as the usual candids you get when you put the little disposable cameras on the tables. Creating a Budget for My WeddingHow do I budget for my wedding? An Indoor Wedding For Less Than $1,500Hi all thrifters. I am from New Jesey and cannot afford a $3000 wedding. My fiancee and I want a reception indoors, with a DJ, and dinner food (not brunch), but are looking to spend between $1000 to $1,500. I have made requests for help before but I was not specific, so many people, whose ideas were all great, suggested brunch and outdoors. Choosing a Day for your WeddingTips to help you choose the right day and time of year for your wedding. Post your ideas.